Work the water! 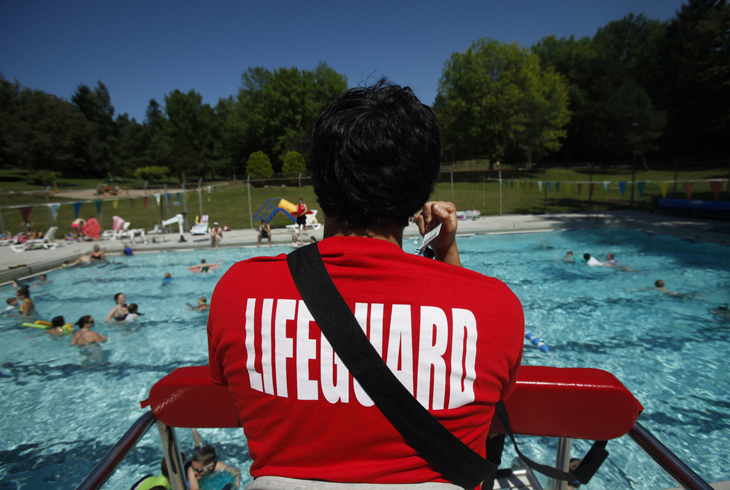 Tualatin Hills lifeguards are some of the best in the Portland Area. Tualatin Hills Park & Recreation District is proud of its staff members and the work that they do. Come be part of a community-oriented organization and help further our mission to provide natural areas, high-quality park and recreational facilities, service and programs that meet the needs of the community it serves. THPRD's Aquatics Department is a top-notch team that serves six year-round indoor pools and two summer-only outdoor pools. Each pool hosts a variety of programs including open swim, lap swim, learn-to-swim, water fitness classes, and a recreational swim team known as the Splash Team. Aquatics staff members work hard to educate our guests in water safety as well as train them to be safe in and around the water. 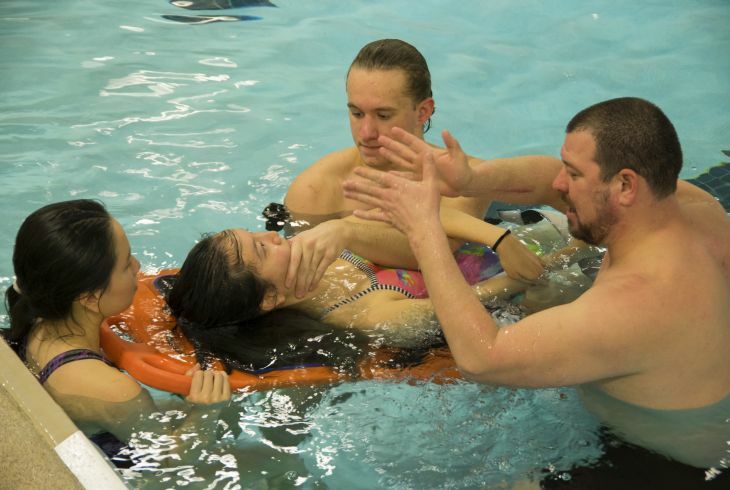 Our goal is to promote water safety and we can’t accomplish this goal without lifeguards and swim instructors who have a passion to help others. Complete the online Lifeguard Trainee application. Candidates will select their desired zone for employment and will be referred to the hiring center supervisor(s) of those zones. Lifeguard Trainees will be hired based on the needs of the facility, so it behooves a candidate to select as many zones as they can if they wish to be hired. The in-water pre-skills test will assess the candidate's physical fitness and ability to participate in the Lifeguard Training Course. Selected candidates are hired on as Lifeguard Trainees. The entire course is designed to be completed in 30-35 hours at the facility. Lifeguard Trainees will be paid while taking the Lifeguard Training Blended Learning course which is 19 hours of training on-site. Candidates will be enrolled into a public course that has been prescheduled where they will spend 10-15 hours at home with the materials presented on-line allowing instructors to focus their energy on the candidates rescue skills while participating in the class. Successful completion of the program will automatically promote the Lifeguard Trainees to Lifeguards at the lifeguard starting hourly wage, and they will work with the center supervisor to set a regular working schedule. Questions should be directed to program manager: Heath Wright, Beaverton Swim Center Supervisor. Email: hwright@thprd.org, Direct Phone: 503-466-8363.